The large exchange hall at Beursplein 5 with the famous ‘Flying Mercury’ in the foreground. The statue was a gift to the stock exchange organization from traders in 1926. 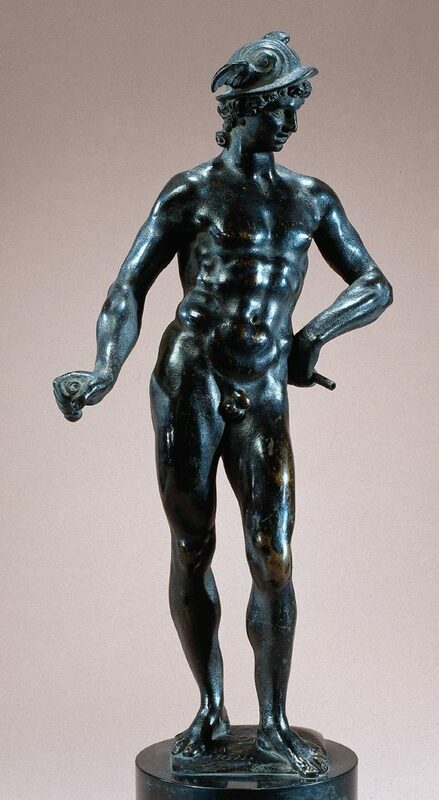 Hendrick de Keyser, architect of the first Koopmansbeurs (Merchants Exchange) of Amsterdam, which was named after him, was also a sculptor, and he created this bronze statue of Mercury in 1611. This marble Mercury adorns the entrance of the former Bank of Amsterdam (the Amsterdamse Wisselbank) in the Royal Palace on the Dam square. Mercury on the facade of the Beurs van Adriaen van der Werff in Rotterdam (1736-1940). 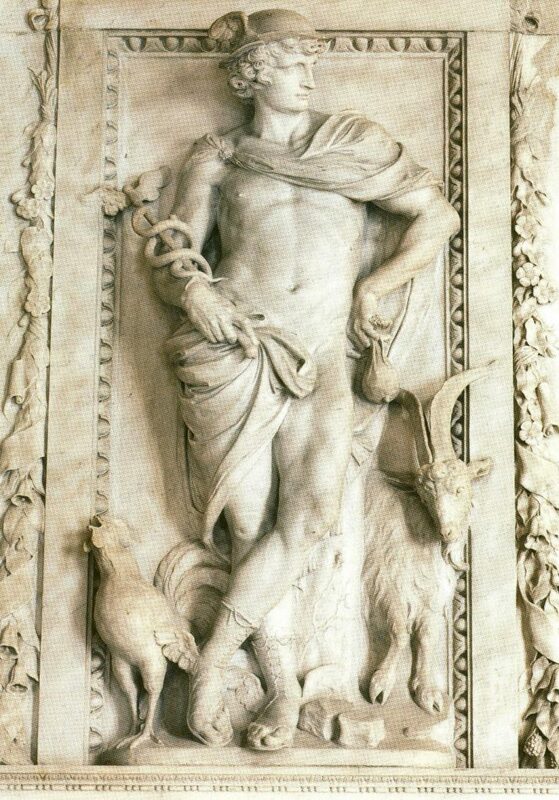 Mercury is the Roman god of trade. For centuries, he has symbolized the exchange in the Netherlands in many guises. 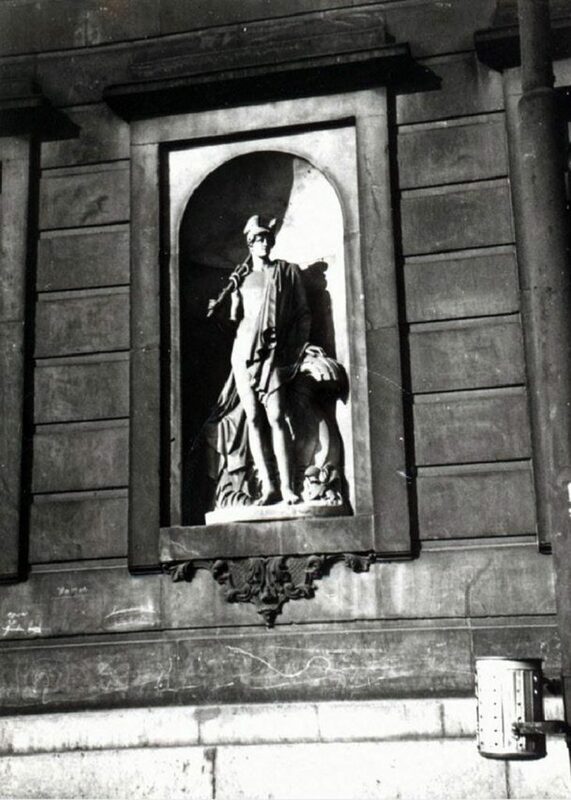 As early as the 17th century, a statue of Mercury adorned the main facade of the Beurs van Hendrick de Keyser in Amsterdam. He was also present on and in the first buildings of the Beurs van Rotterdam. Today, we can still find him on the outer facades and in the exchange buildings of Amsterdam and Rotterdam. The message is always the same: this is a building where trade is being conducted under the watchful eye of Mercury. Mercury is discretely present on the facade of Beursplein 5. The same cannot be said of the Flying Mercury that has been watching over the trading floor from the gallery for many years. His presence hardly ever goes unnoticed. 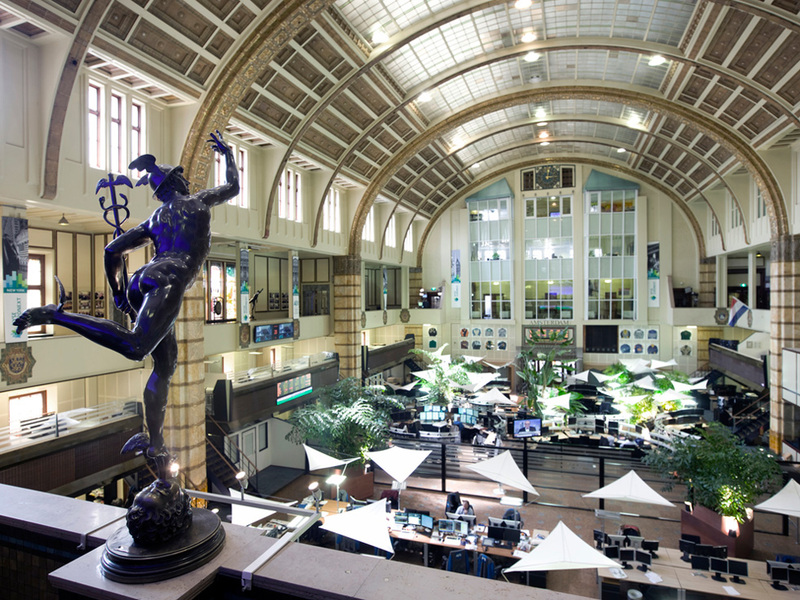 The figure of the Flying Mercury has been associated with the Amsterdam exchange trading since 1845 when King Willem II bestowed the first statue at the opening of the Beurs van Zocher. The statue is a replica of a statue made by sculptor Giambologna (1529-1608) in 1563. The original, which can still be visited in Florence, was very innovative in its day because of its detailed muscle dissection and execution of balance. Unlike every other Mercury statue that was created up to that point, the statue is very dynamic. It is as if Mercury can fly away any moment. Propelled by the wind from the mouth of Aeolus, god of the wind, he directs exchange trading along the right path, namely, that of moving in balance.